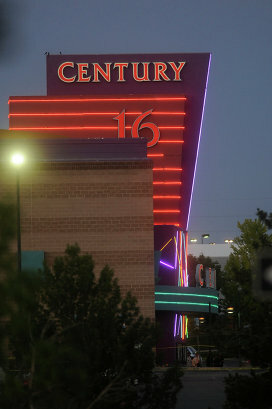 On the morning of Friday, July 20, 2012, Americans awoke to the tragic news that shortly after midnight, seventy-one innocent people attending a screening of “The Dark Knight Rises” in an Aurora, Colorado theater had been shot by a lone gunman. Ten of the victims died at the scene; two others died in area hospitals. It goes without saying that at times like these, as we are once again left with a sense of confusion and righteous indignation, our faith is sorely tested. Left with a sense of confusion and righteous indignation, it is reasonable to ask what would possess someone to enter a theater, dressed in black with body armor, and open fire at the audience? Attempting to rationalize an act that, by its very nature can only be termed irrational, is futile. Accepting the fact that such irrational acts do indeed occur, however, reminds us that we indeed live in a fallen world, a world that so desperately needs the Gospel of Jesus Christ, centered as it is on forgiveness and love. Turning to our all-merciful Saviour as our only hope, we, the members of the Holy Synod of Bishops of the Orthodox Church in America, call upon the faithful of the Church to pray for all affected by this tragedy—those who perished and their grieving families, those who survived but must now process all they had witnessed and endured, and those who now must investigate motive and meaning while reassuring the public that every means will be pursued to ensure that similar crimes will be prevented in the future. And let us pray for the perpetrator, that he may embrace the Spirit of repentance to which one and all are called by the One Who came into this fallen world to proclaim, “In the world ye shall have tribulation: but be of good cheer; I have overcome the world” [John 16:33]. May the comfort that comes to those who place their faith and hope in the love and promises of our Saviour fill all affected by this tragedy and “wipe away all tears” from their—and our—eyes [Revelation 21:4] while focusing our vision on the life of the world to come. May the memory of those who perished be eternal, and may the Physician of our souls and bodies raise those who survived from their beds of infirmity.